To fairing or not to fairing... that's the question. I hope I've posted this topic in the proper forum location. 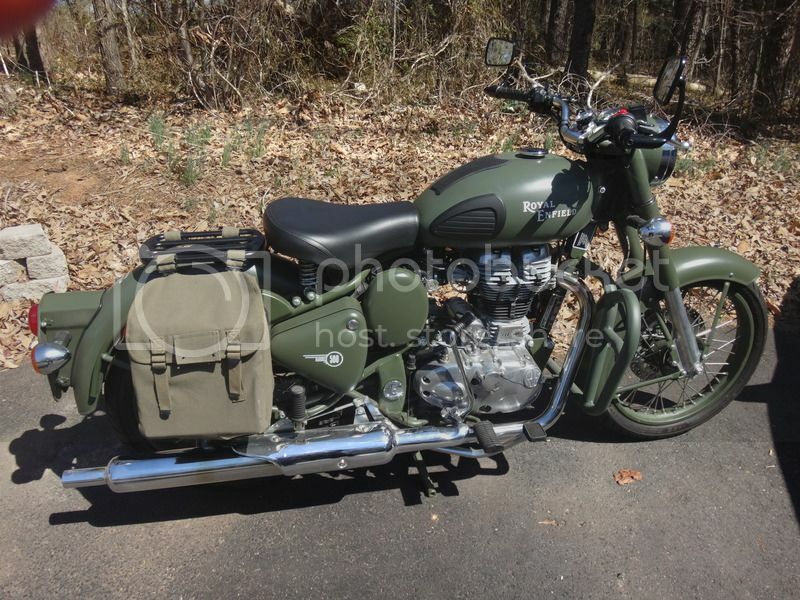 I am looking for opinions regarding the aesthetics of adding the below pictured fairing to my C5 Royal Enfield Military. I would probably paint the fairing (not the screen) a matching OD green color. Re: To fairing or not to fairing... that's the question. I appreciate the feedback. I was purposely trying to avoid the more rounded/sleek fairings so as not to look GT or cafe-like. I went with a shield on both of my Bullets, the C5 got the more practical/effective one but my iron barrel got the more "sporty" one, it's a Memphis Shade brand & it works fine, just not as rain protective as the Slip Streamer on the C5 & they're not..."too" ugly & the "sail" factor is acceptable.